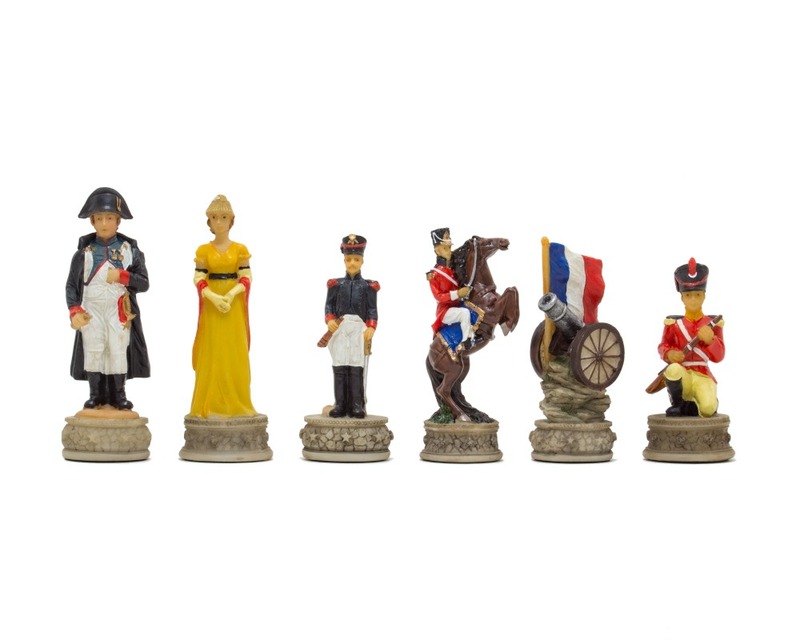 These historical chess pieces are exquisitely ornate with the French side sporting navy blue uniforms whilst the British are in red. 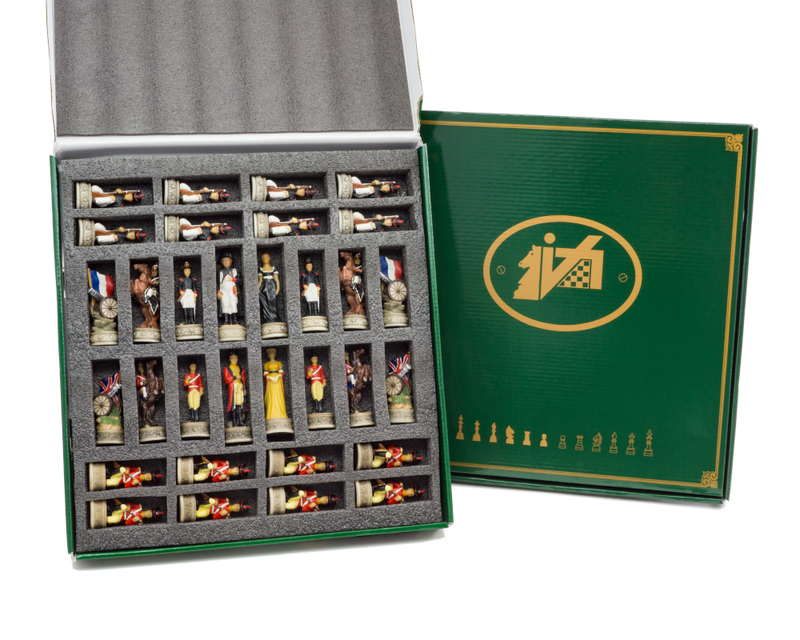 Led by a very recognisable Bonaparte and Wellington, each king is accompanied by his respective lady, Josephine and Catherine. 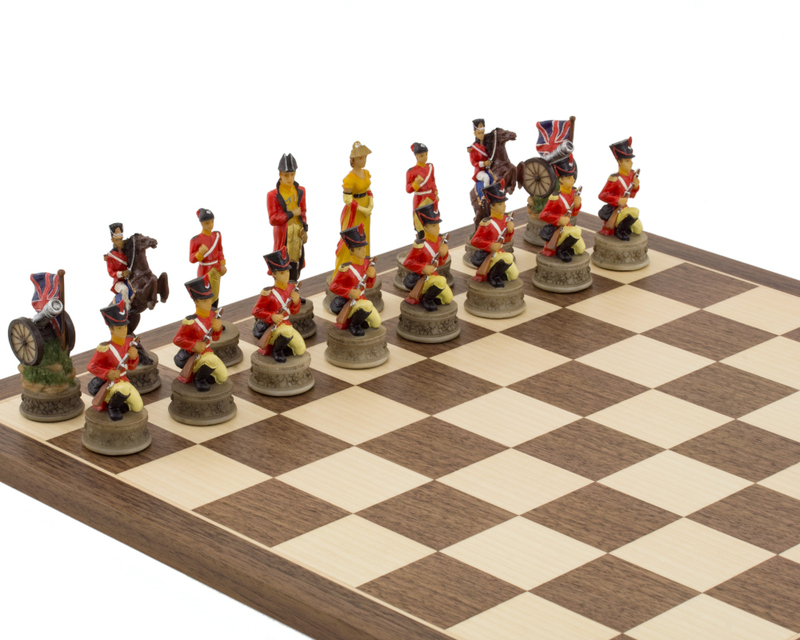 The bishops are smartly uniformed officers whereas the knights are very detailed and active mounted soldiers. 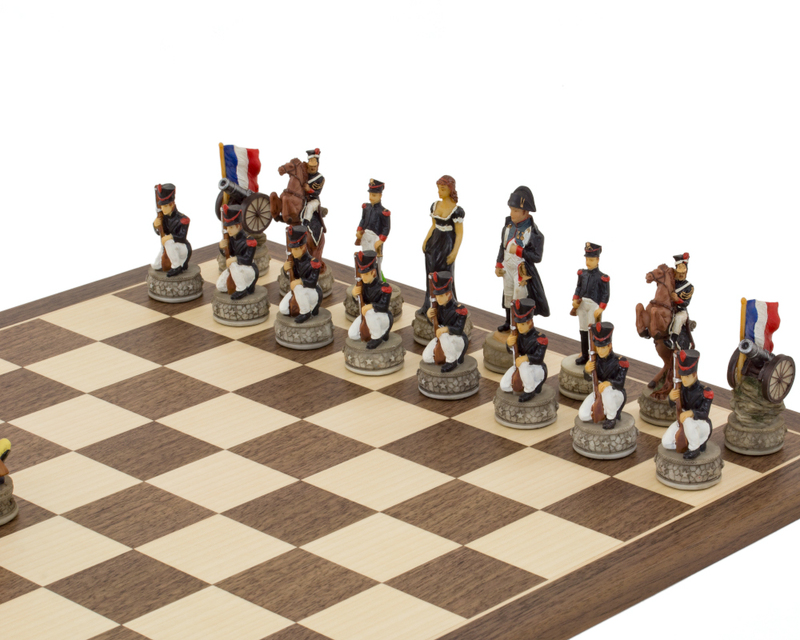 The pawns are infantry bearing firearms but it is the rooks in this set that are the most eye-catching, represented by cannons with the relevant country's flag flying above. 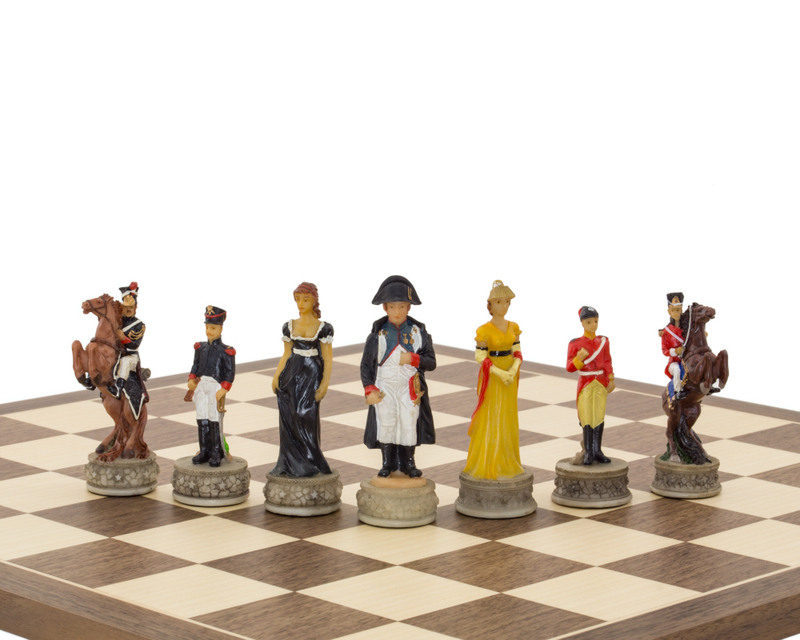 We have placed these stunning pieces with a beautiful Spanish board to give you The Battle of Waterloo Themed Chess Set. With or without the board though, this would makae a wonderful gift. 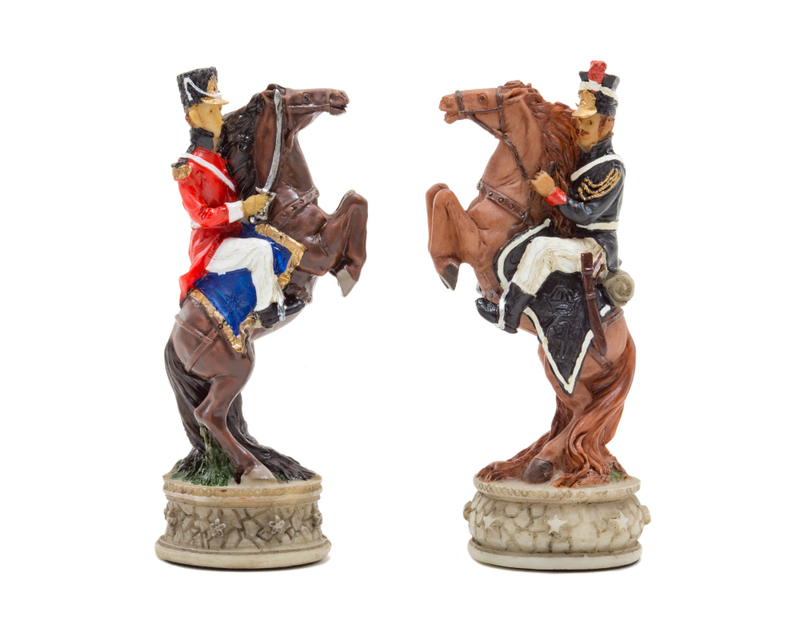 Sunday 18th June 1815 at Waterloo, which at the time was part of the United Kingdom of the Netherlands, saw the defeat of Napolean Bonaparte and his French army by the Duke of Wellington and Prince of Wahlstatt (Gebhard Leberecht von Blucher). 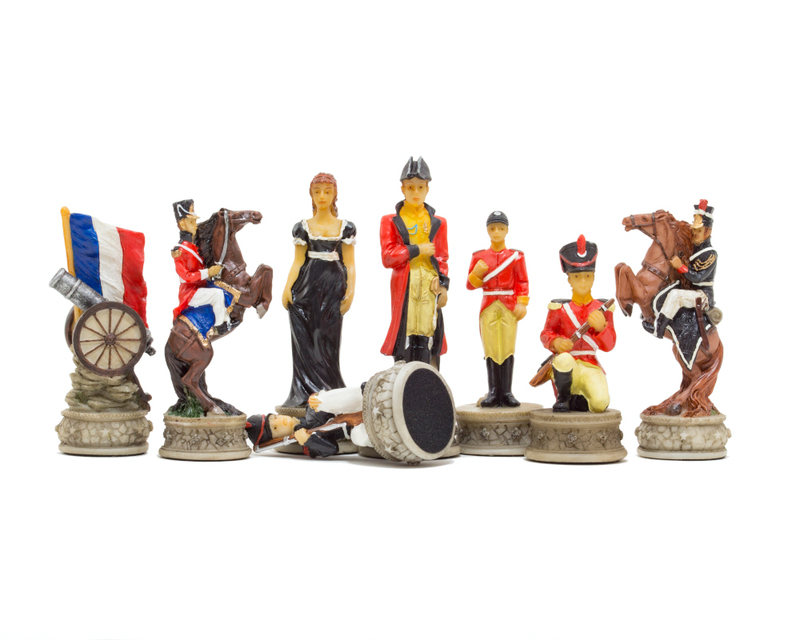 According to Wellington, the conflict was ‘the nearest run thing you ever saw in your life’ but not only did it end Bonaparte’s rule it also marked the end of his Hundred Days return from exile. The battlefield is located about 15 kilometres (9.3 mi) south of Brussels and about 2 kilometres (1.2 mi) from the town of Waterloo. The site of the battlefield today is marked by a large monument, the Lion’s Mound. As soil was taken from the original battlefield to construct this monument, the original site has not been preserved. 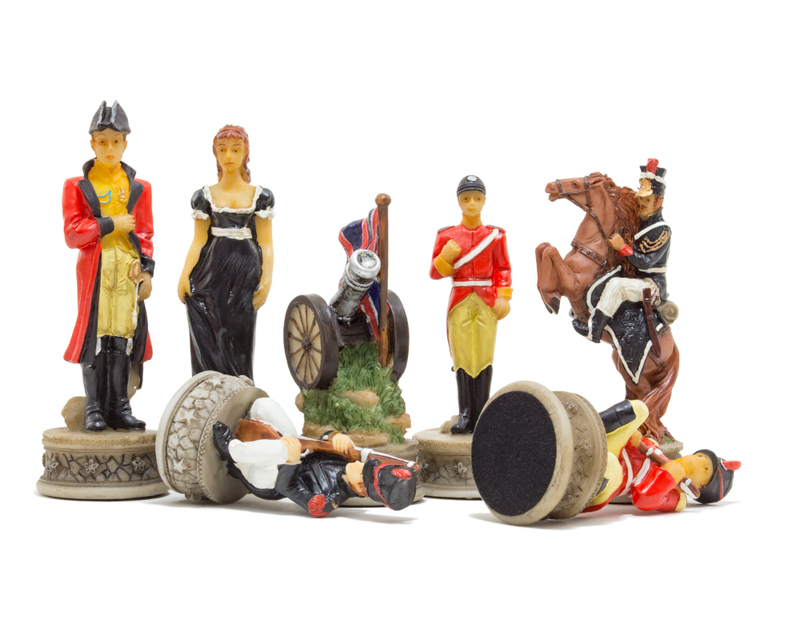 "The Battle of Waterloo Hand Pained themed chess pieces were Absolutely Brilliantly painted."